The best athletic wear is typically designed to enhance performance — without sacrificing style of course. 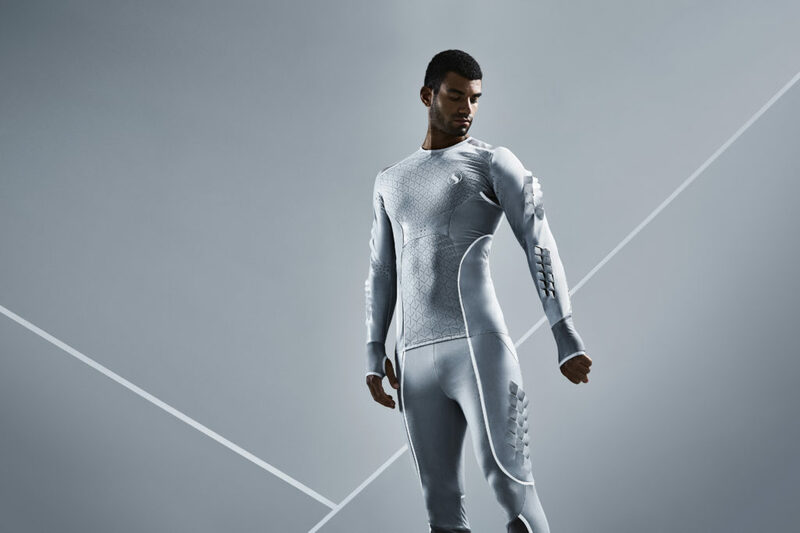 Pauline Van Dongen’s latest collaboration with Skynfeel — a condom brand none-the-less — translates an atypical material into experimental performance apparel for long jumpers. 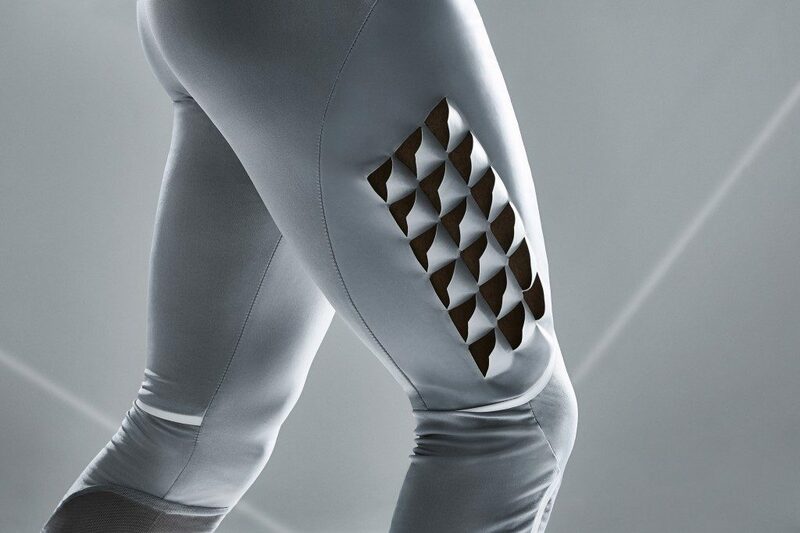 The long jump suit is designed with “dragonfly wing-inspired” flaps that remain flat during the run but open wide during the jump when the athlete twists and turns. The flaps are constructed from a thin layer of latex and reinforces by a geometric laser cut grid. The claim is that the aerodynamic design results in more airtime. 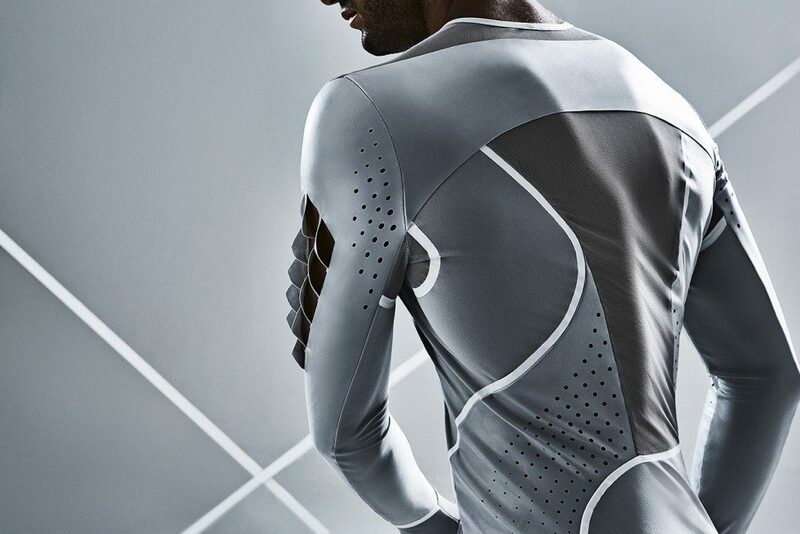 The end result is a lightweight garment inspired by biomimicry. The material explorations are novel, the design desirable, even if the intentions for a condom brand to explore fitness seems at first unconventional.